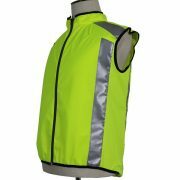 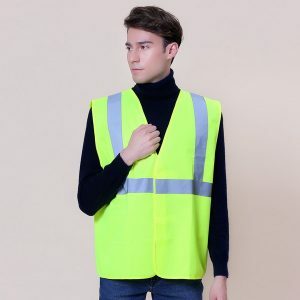 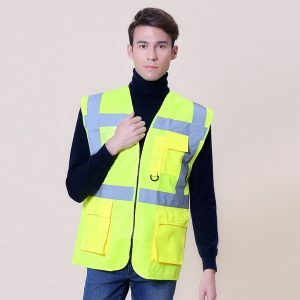 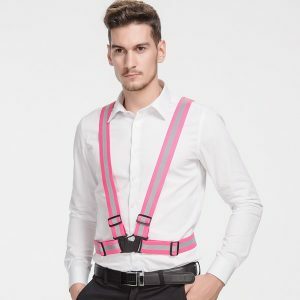 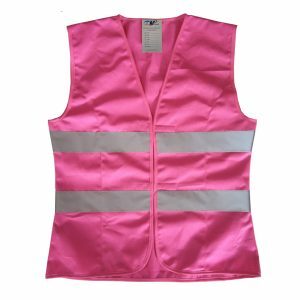 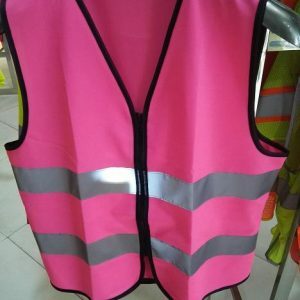 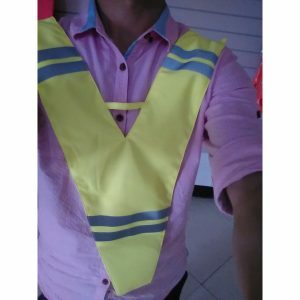 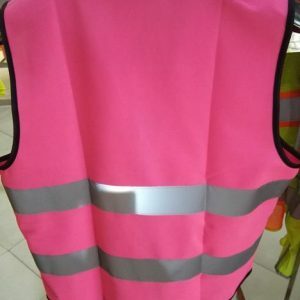 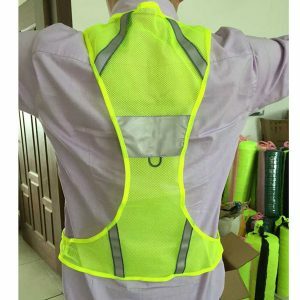 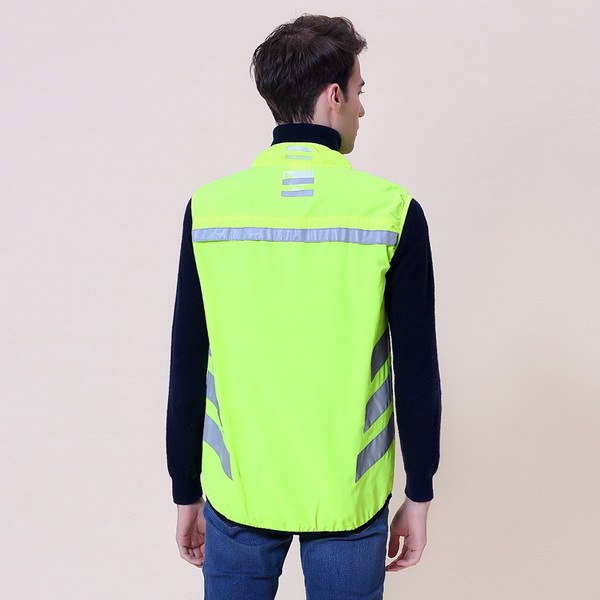 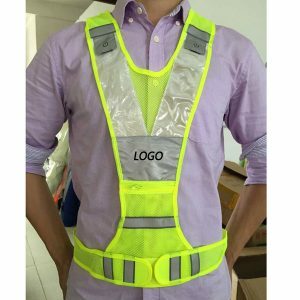 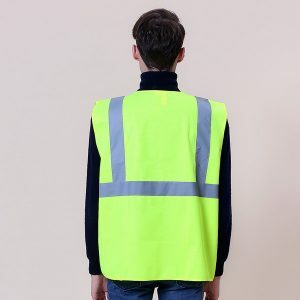 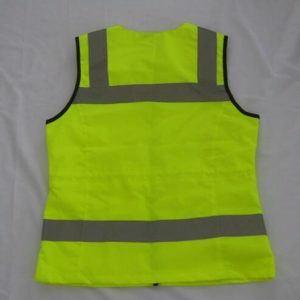 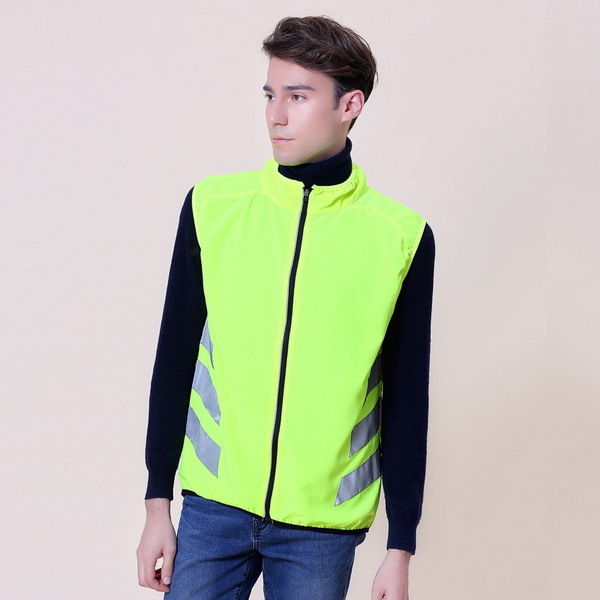 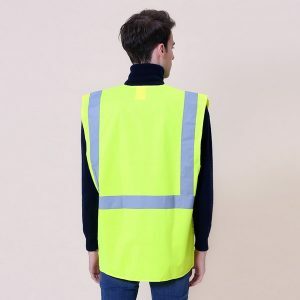 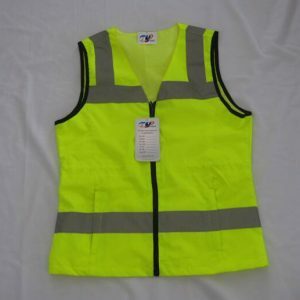 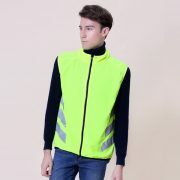 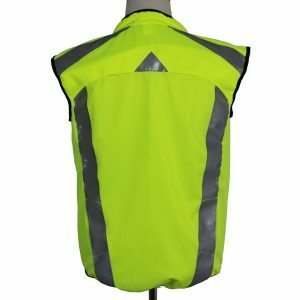 High visibility fluorescent breathable fabric. Chevron shaped reflective strip on the waist side. 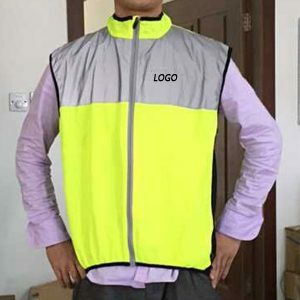 Horizontal reflective tape one the back.